Now It’s Super Easy For You To Rent One! For the past year we’ve seen how much you all have LOVED the ball pits. That’s why we’ve made it easier than ever for you to have a ball pit at your child’s birthday or sleepover party, a wedding reception, family BBQ, dinner party or whatever the occasion! 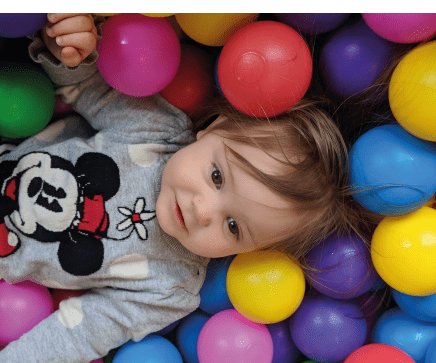 Still not sure if a ball pit rental is for you? Not just for birthdays! Our ball pits will transform any sleepover, movie night, dinner party, family BBQ and more – we dare you to think of a time a ball pit wouldn’t be awesome! With the ability to collect & have longer rental periods we can now help you with events that are outside of Calgary! Canmore, Banff, Red Deer – we’re looking at you. Oh, and in case you didn’t already know, we take cleanliness seriously! That’s why we wash and sanitise all of our ball pit balls after every rental. We call it #WeDreamOfHygiene Promise. We treat each event with a special attention to detail and are dedicated to spreading smiles and delivering happiness! To make your next party or kid-friendly event a source of fun, and amazing memories call us on 403 719 7776 or use the reservation form below.